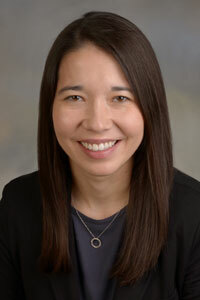 The Department of Ophthalmology and Visual Sciences is pleased to have added two new ophthalmologists with Iowa connections. Dr. Jane Bailey recently completed a neuro-ophthalmology fellowship in our department and ophthalmology residency training here in 1996. Dr. Bailey provides comprehensive and neuro-ophthalmic eye care. Also joining the Eye Clinic is Dr. Erin Boese. 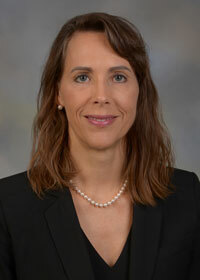 Dr. Boese completed her medical school training at the University of Iowa Carver College of Medicine before pursuing residency and fellowship training at the Casey Eye Institute and Kellogg Eye Center respectively. She joins our Glaucoma Service. Both physicians see patients at the main hospital eye clinic and UI Health Care Iowa River Landing clinic in Coralville.